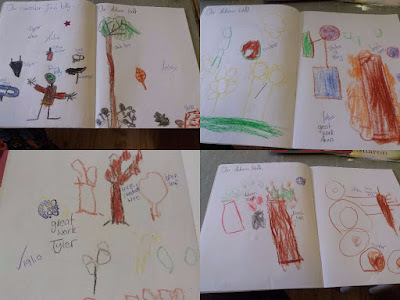 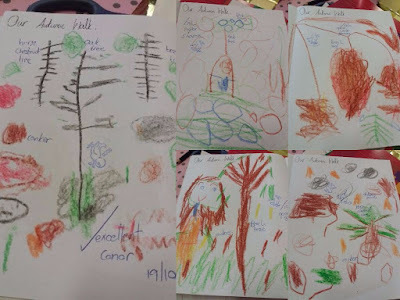 In October, we learned all about Autumn and the changes that occur. 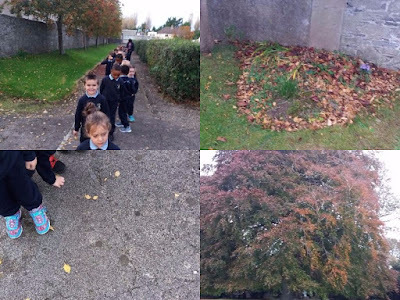 The leaves change colour and fall from the trees to the ground. We went on an Autumn walk and had fun finding conkers, acorns, berries and lots more. 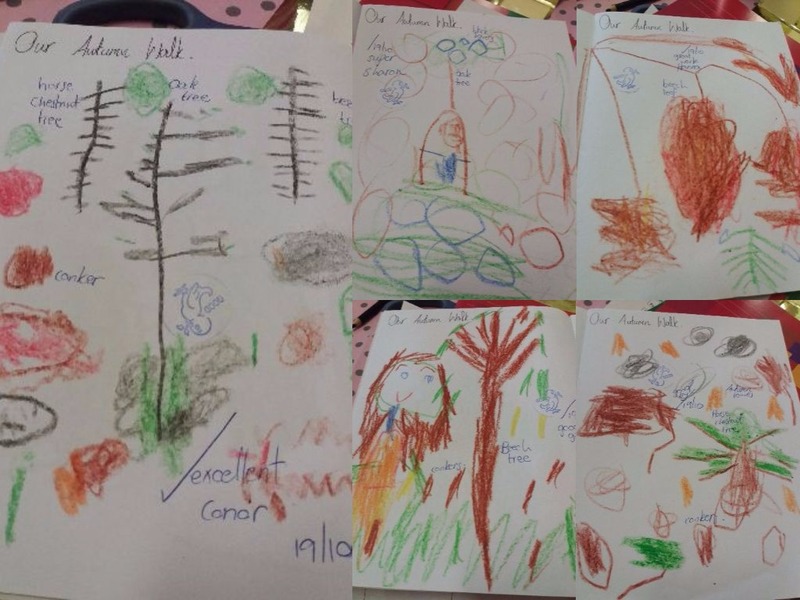 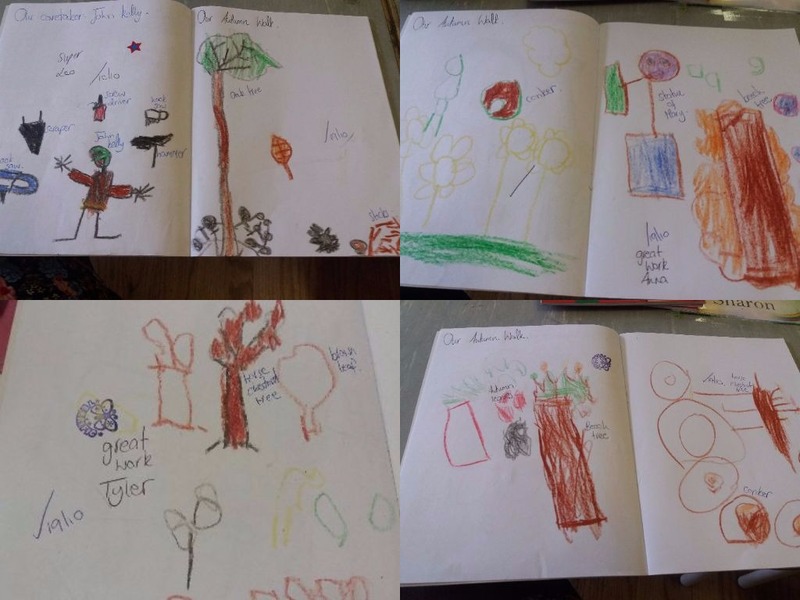 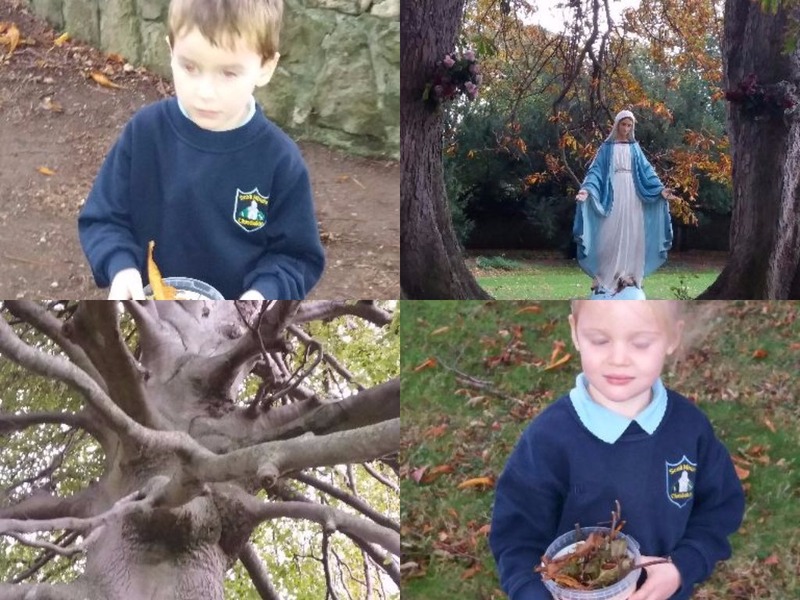 We examined the shape and colour of the leaves on each of the trees-we will now be able to recognise the Horse Chestnut/Oak and Beech treein our environment. 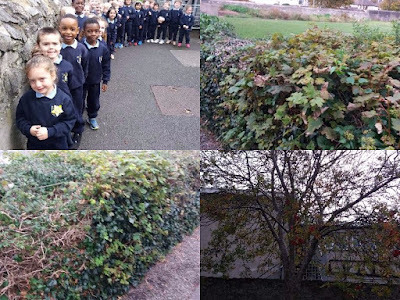 Our favourite part was listening to the noise of the leaves on the ground as we kicked them with our feet.